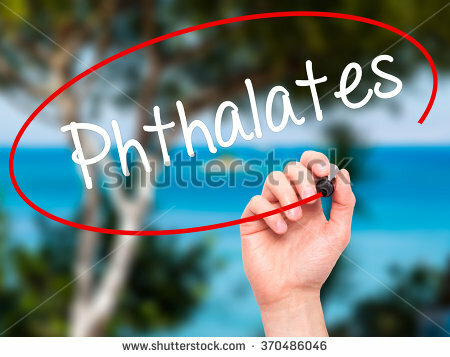 Phthalates are a family of chemicals used in plastics and many other products. ​Phthalates are a group of chemicals used to soften and increase the flexibility of plastic and vinyl. Polyvinyl chloride is made softer and more flexible by the addition of phthalates. They are used in containers that store food and beverages, such as water bottles etc. The Centers for Disease Control and Prevention (CDC) collected data on nearly 8,900 Americans of all age groups between 2003 and 2010 as part of a nationwide survey on health and nutrition. Participants reported everything they'd eaten in the past 24 hours and provided a urine sample. Personal care products are another major source of phthalates that are within your control. Pregnant women and young children are at particularly high risk when it comes to these kinds of chemicals. "The American College of Obstetricians and Gynecologists released a report11in 2013 stating that high levels of exposure to phthalates could lead to adverse reproductive outcomes in women. "Our study helps shed light on one potential way that people can reduce their exposure to these chemicals through their diet, but it also points to a broader problem of widespread chemicals in our food systems that will require many different types of stakeholders to get involved in order to fix it." ​Use natural cleaning products or make your own. Besides phthalates, avoid those containing 2-butoxyethanol (EGBE) and methoxydiglycol (DEGME) — two toxic glycol ethers that can compromise your fertility and cause fetal harm. Look for fragrance - free products. One artificial fragrance can contain hundreds — even thousands — of potentially toxic chemicals, including phthalates. author Kevin Galalae addresses 204 Nations, 16 Territories, the United Nations, European Union, North Atlantic Treaty Organization (NATO), the Central Intelligence Agency (CIA), African Union , United Nations Children’s Fund (UNICEF), Dynacorp International Inc, Plastics Europe, Monsanto Corporation Inc, Bill & Melinda Gates Foundation, and all Humanity, to acknowledge the covert depopulation methods that have been employed by the United Nations since 1945. ​Game Changing Solutions for Humanity! 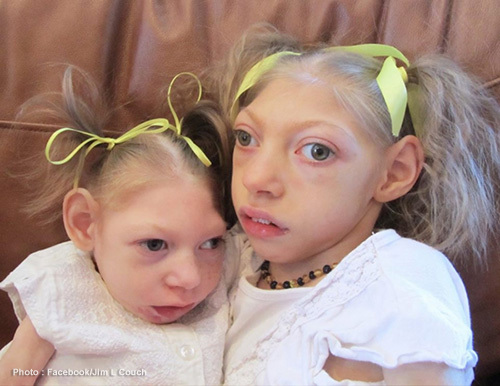 As more reports of deformed children keep appearing, the media is freaking out, the CDC is freaking out and the U.S. government is freaking out, demanding urgent calls for yet more vaccines. Alarmingly, the very same scientists who pushed for the release of the genetically engineered mosquitoes that may have caused all this are also now calling for more genetically engineered mosquitoes which they claim will solve this problem. Those who warned about threats to the ecosystem were maliciously smeared and labeled "anti-science"Myself and many others warned the world about all this, and in return we have been maliciously and repeatedly death-threated, slandered, defamed, blackballed and labeled "anti-science." Yet now, the world is starting to see why we were the wise ones after all: We warned about this exact scenario, knowing that Mother Nature doesn't follow the desires of for-profit corporations and their foolish experiments with the ecosystem. See Group of scientists gave standing ovation for plan to kill 90 percent of human population with airborne Ebola for yet another example of how "scientists" are thrilled at the idea of using viruses and airborne delivery (via mosquitoes or otherwise) to commit mass genocide against humanity. This is the kind of thing they dream about unleashing in their war against a population problem that they think will end the world if they don't drastically reduce the number of people living on our planet.